1. Research online how big your tree gets, then choose a spot to dig a hole. Don’t plant big trees or trees with large spreading roots near a house or permanent structure. 2. Use root stimulator to prevent transplant shock and help roots take to new dirt. Soak root ball in root stimulator as directed. 3. Put about a handful of fertilizer at the bottom of the hole and put tree in hole. 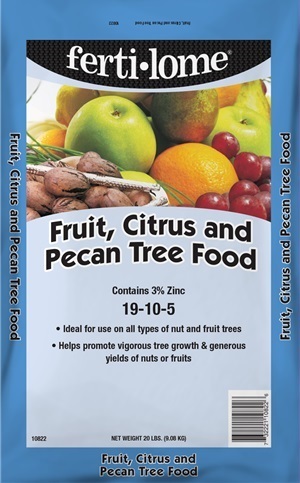 Fruit, Citrus and Pecan Tree Food. 4. Fill the rest of hole with planter’s mix as needed. 5. Add more fertilizer on top. 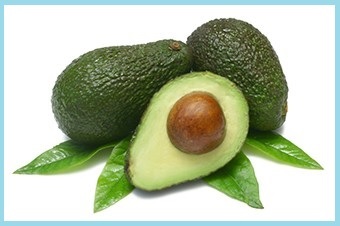 Amount varies on size of tree. 6. 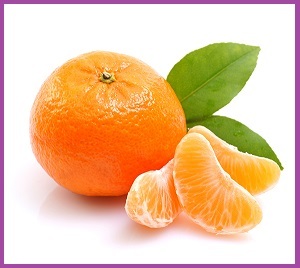 Fertilize tree at least monthly, even during the winter to keep it in good health. 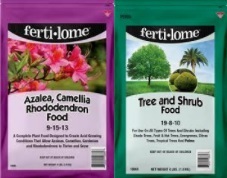 Azalea, Camellia and Rhododendron Food and Tree and Shrub Food for fall season fertilizing. 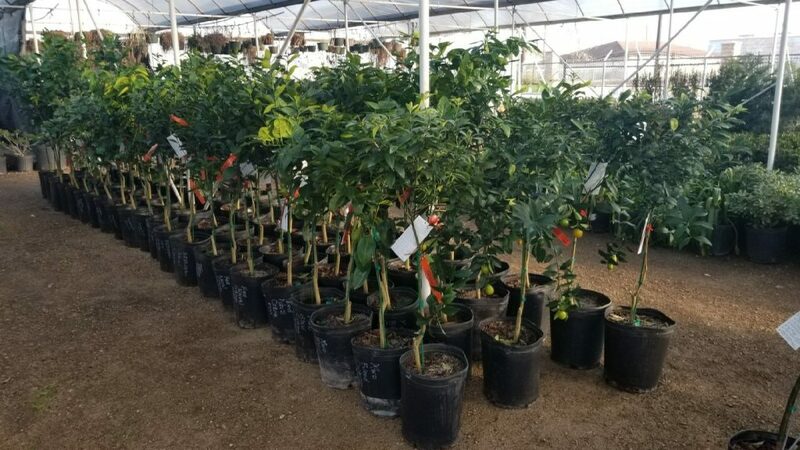 We carry a large variety of trees including Fruit trees, Citrus trees, little gem magnolia trees, sweet olive trees, Crape Myrtles, Black Diamond, Juniper trees and more! Call for availability. 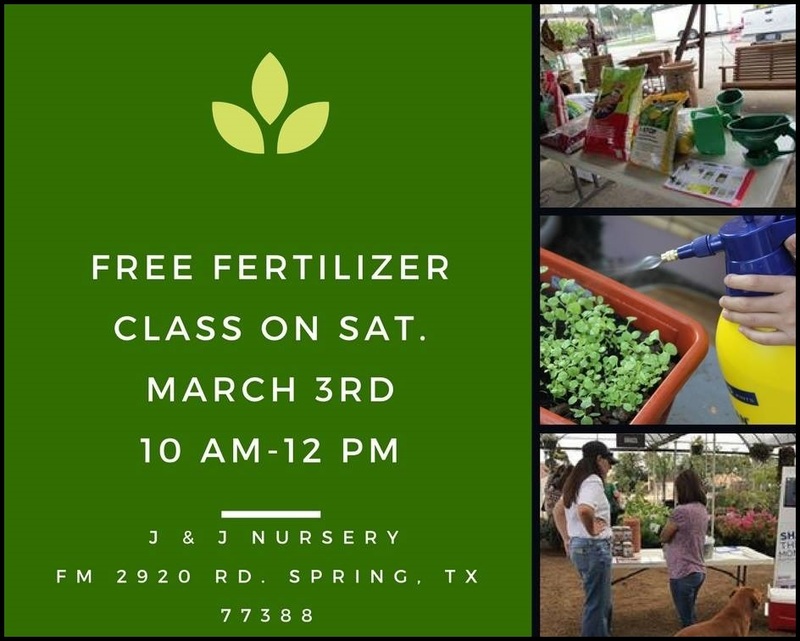 This entry was posted in Fruit and Citrus Tree Fertilizer, Tree Planting Tips, TREES and tagged springtx, thewoodlandstx, tomballtx, Tree planting tips, treefertilizer on February 1, 2018 by jjsnursery.